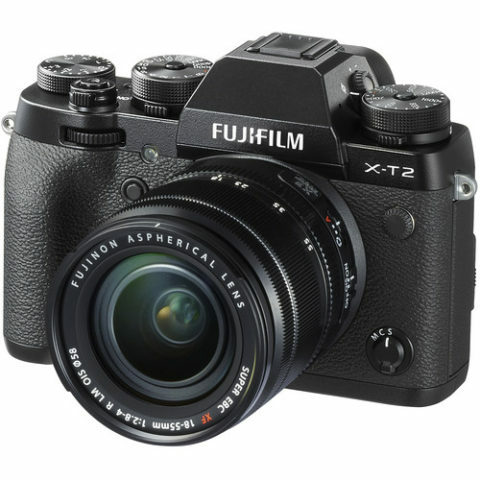 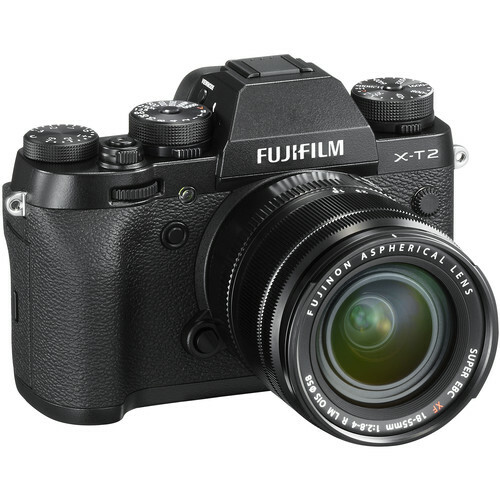 Offering a more conventional form factor and packing in UHD 4K video recording, Fujifilm’s X-T2 Mirrorless Digital Camera with 18-55mm Lenscertainly aims to fill the needs of many working professionals. 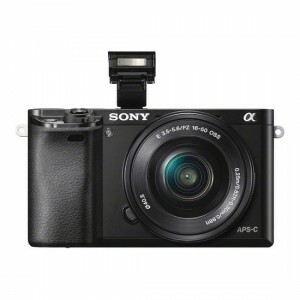 Equipped with a 24.3MP APS-C X-Trans CMOS III image sensor and the X-Processor Pro Engine, users will be able to capture finely detailed imagery quickly and with low noise at sensitivities up to ISO 51200. 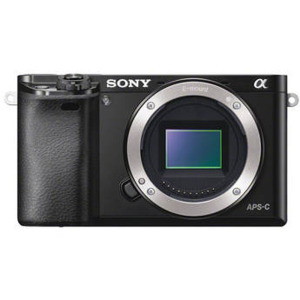 The powerful combination permits rapid image capture at up to 8 fps with full AF tracking or at up to 14 fps using the silent electronic shutter. 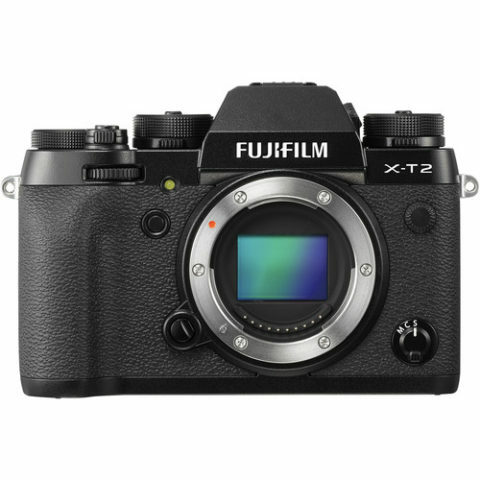 In terms of AF, the X-T2 uses an Intelligent Hybrid system with 325 points that ensure accurate, fast tracking of subjects in all modes. 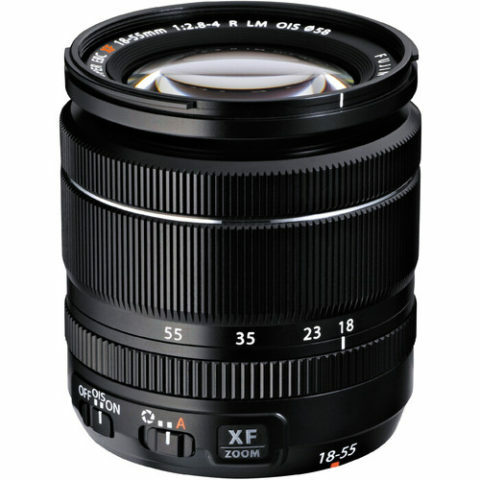 This version also comes bundled with a versatile 18-55mm zoom lens that will help capture a wide range of subjects. For video, the X-T2 offers internal UHD 4K video as well as an 8-bit 4:2:2 HDMI output. 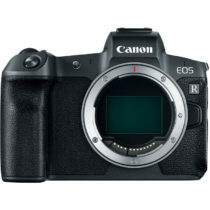 The internal recording offers 100 Mbps bitrate for capturing fine details with ease. Along with this an F-Log Gamma setting will be available for capturing a flat picture best used in serious grading applications. Fuji’s array of Film Simulations and Grain Effects can also be used here, for both photo and video shoots. 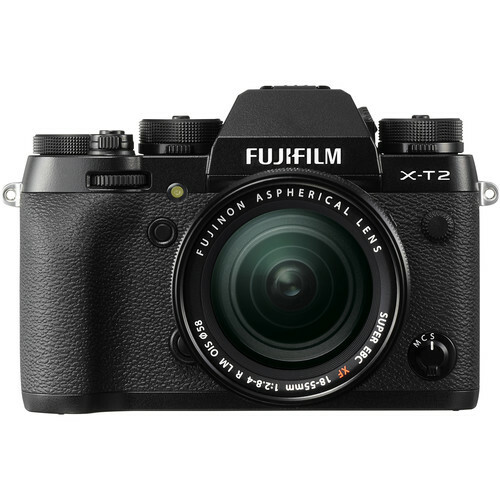 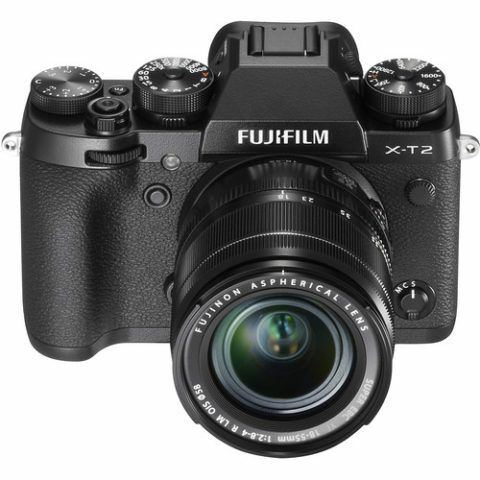 Improved handling is a key upgrade in the X-T2, incorporating a larger grip, locking dials, raised buttons, and more to make operation smoother. 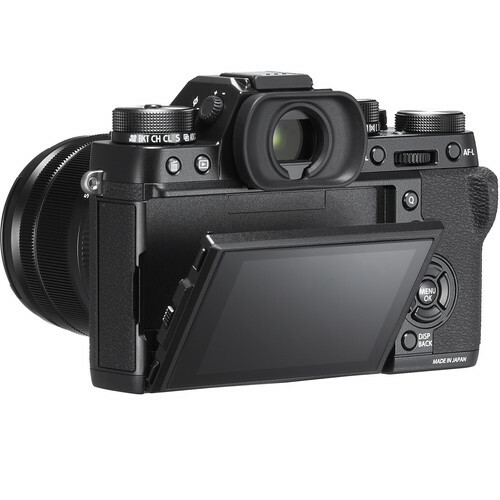 The weather-sealed body also sports a 0.5″ 0.77x 2.36m-dot OLED EVF with a larger eyecup for comfortable composition and a base refresh rate of 60 fps, which can be boosted to 100 fps. 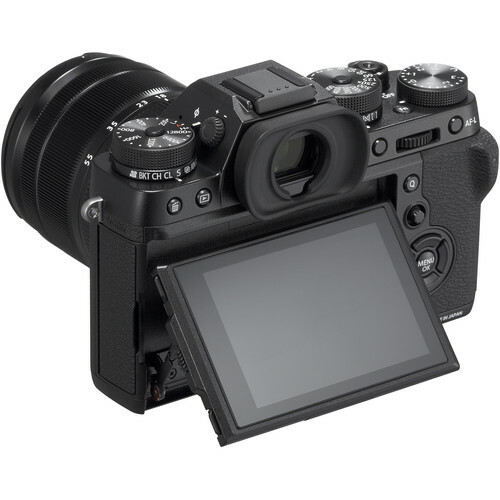 There is also a 3.0″ 1.04m-dot three-way tilting LCD screen for alternative viewing options. 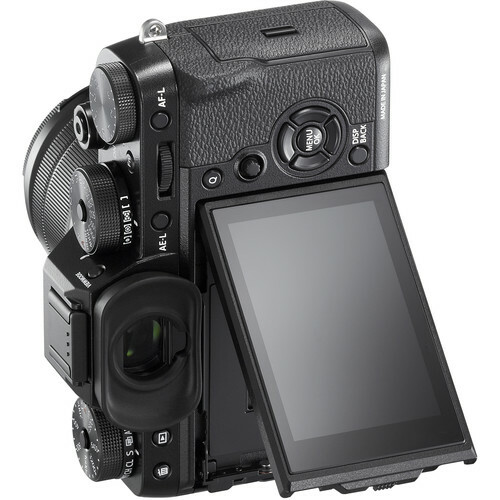 This screen has a unique tilt that permits shooting at odd angles, including in the portrait orientation. 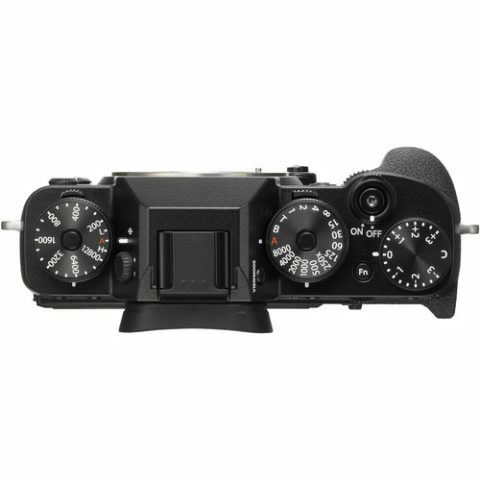 Additionally, it has a focus lever joystick that allows for rapidly adjusting and changing the selected AF point or area.